Our Christmas and New Years Eve menu’s are now on the website and we are taking bookings. 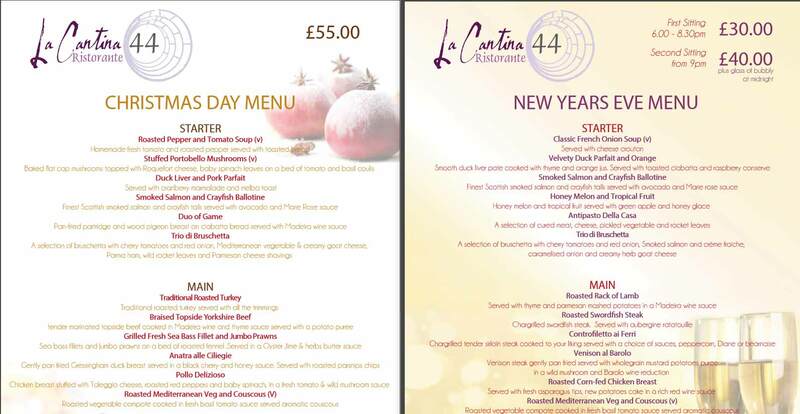 Whether you would like to spend Christmas Day or bring in the New Year with us here at La Cantina 44 or if would like to book a Christmas meal for your work or family party, we can cater to your needs. Please contact the restaurant on 0113 368 0066 or via the Contact Form or Reservations sections.